We all scream for ice cream! 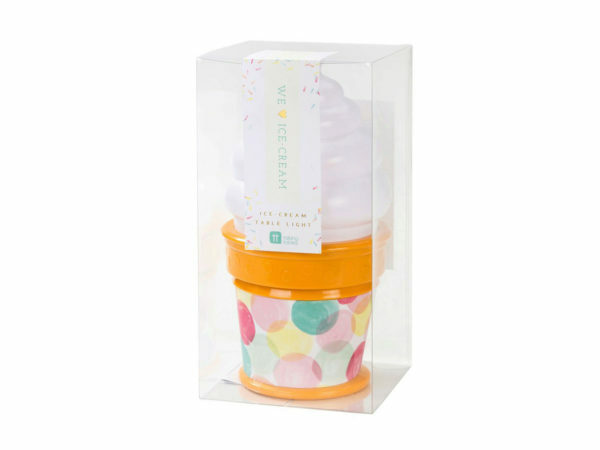 This brilliant LED battery powered Ice Cream light is an ultimate trend piece for the ice cream lovers out there. A perfect party prop in the summer sun, or great fun as a bedside lamp for the little ones, this light is 10" tall and turns on with a simple push on top. It comes packaged in a 5" x 9.50" x 5" clear box.